A Blessed Life-everyday life with Lisa Dorsey: Are you up for a challenge? Hope everyone had a wonderful weekend! We had a lot of fun celebrating Father's Day. 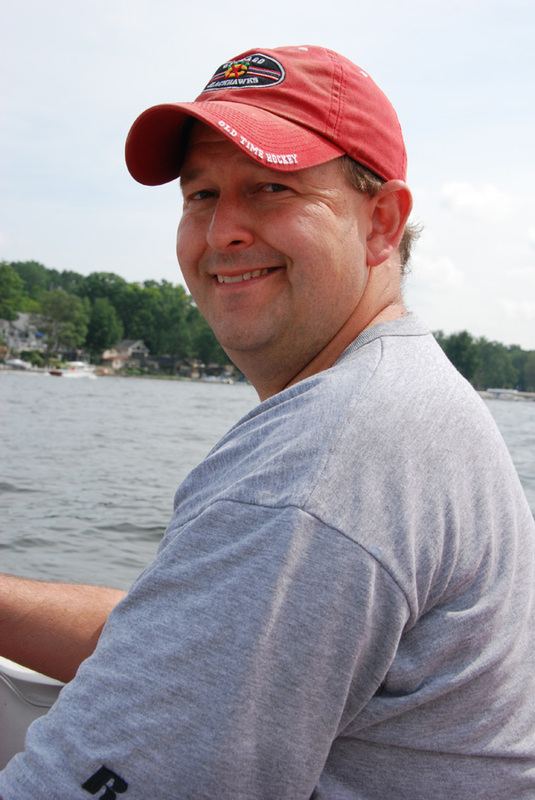 Many years ago while DH and were living in Texas DH and I owned a boat. He has missed having that boat since we sold it. 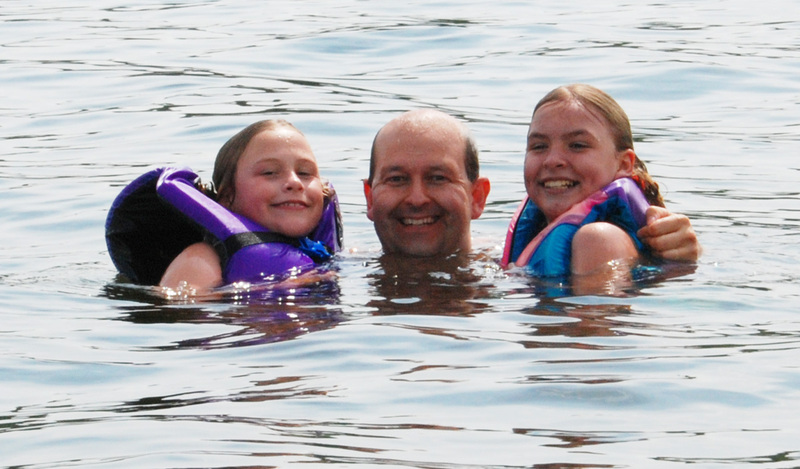 So after church on Sunday we took my sweet husband water skiing and tubing. I wanted to share a brand new challenge blog with you-Challenge Me Happy. I was thrilled when Annelie asked me to be a part of this team. She has some amazing challenges lined up and I can't wait to share them with you. Here is the first challenge. 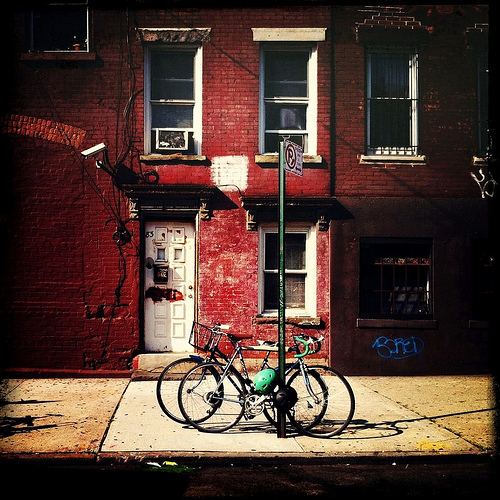 Create a layout using this amazing photo as inspiration. My final inspiration came from the bricks on the building. I downloaded some digital brick stamps from this site. http://www.texturemate.com/content/brick-3-brush-pack-photoshop-or-gimp I then created a 12 x 12 image in adobe and stamped the areas I wanted bricks. Finally I used the stamp tool with a blurred edge to erase some of the bricks. I printed it on red cardstock to create my background. We would love to see your take on this photo and you could win some amazing chipboard from Magistical Memories. 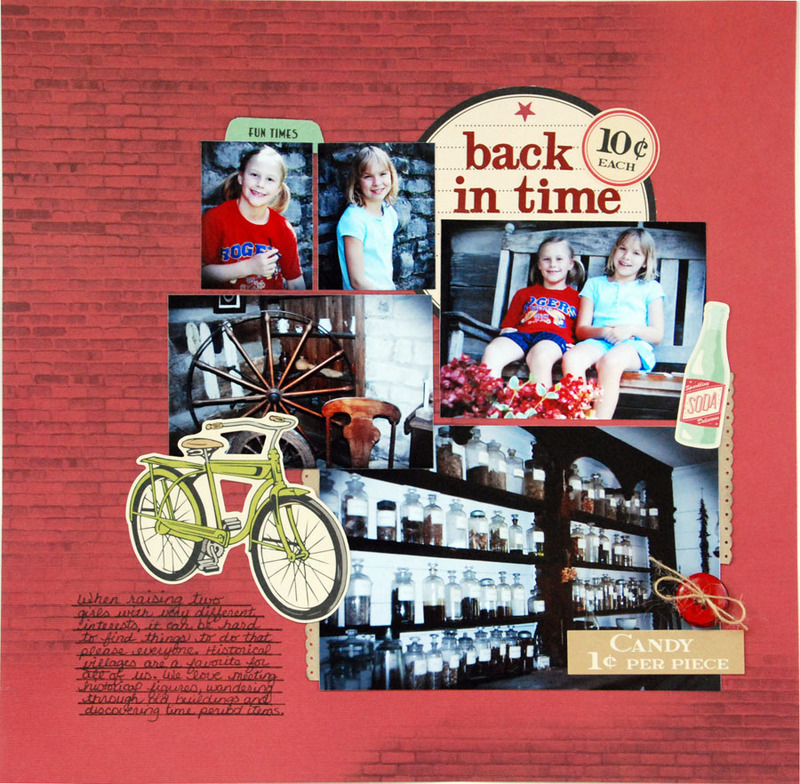 Just head over to the Challenge Me Happy blog for all the details and to see all the other designers layouts. Awesome layout! I love it! :) Will go check out the blog too. Oh Lisa what a wonderful layout! I just LOVE it! And is that an old apothecary shop you visited?!! What a fun way to spend Father's Day! Looks like everyone had a great time! Love the layout! 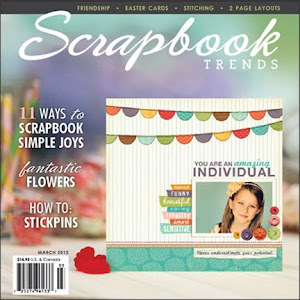 Received the copy of Scrapbook Trends today--thanks so much! What a cool idea and you rocked it!!!! 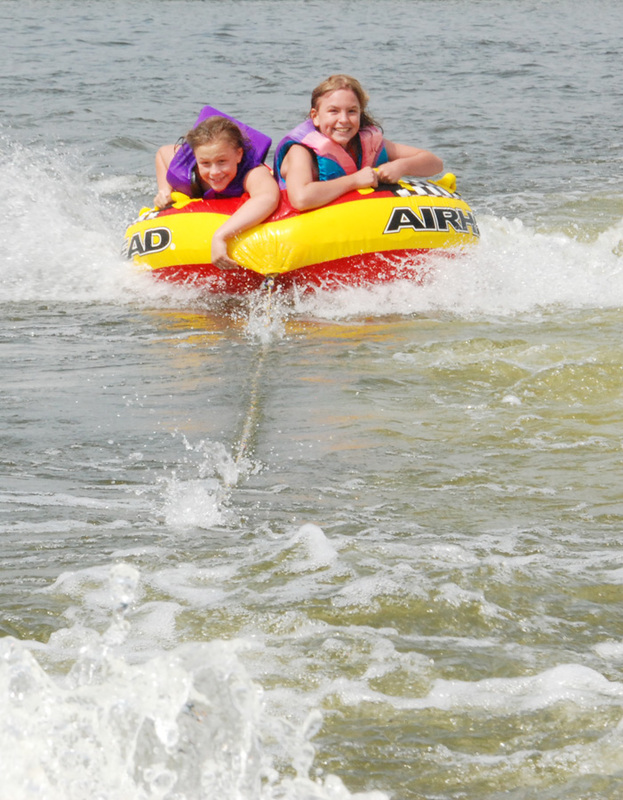 Looks like everyone had a blast boating. That is such a great layout! The photo is really awesome too! What a cool gift, good thinking! LOVE that layout! So many neat details and really loving that red background. I am so GLAD you wanted to join the team! LOVE LOVE LOVE your take on the first challenge, it's so clever how you have used the didi parts! Just awesome!